Returning to England, Harry and James become embroiled in a vicious struggle between rival smugglers played out in the English Channel. Witnesses to a bloody confrontation, they flee to Deal--only to find that, behind its picturesque facade, the town is a haven for traders in contraband, seething with corruption and violence. 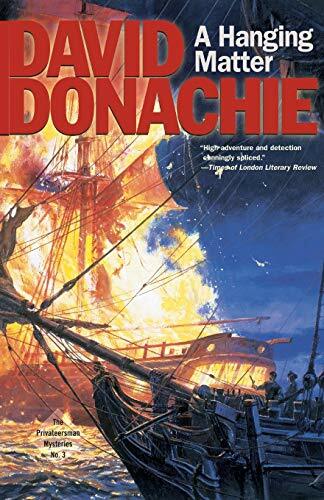 David Donachie is an avowed lover of naval fiction with a stroke of mischief, and he has lately published a multivolume biographical novel about Lord Nelson and Lady Emma Hamilton. Writing as Tom Connery, he is the author of the popular Markham of the Marines novels. A Scot by birth, he lives in Deal on the Channel coast of England.